What is a VPS+N, VPSN, VPS+VPN? What is a VPS+N? VPSN VPS/N etc? Well, I've heard the acronym used losely in the networking community but always thought of it as a self made definition of a windows virtual private server with an incorporated virtual private network configuration used to mask all in and outbound packets not meeting a predefined set of specific rules/policies. It's a quite clever concept, for those looking to add an additional layer of anonymity to their online activities. This allows the VPS user to not only hide their true location, exposing the server's geographical location; however with the VPN layer in addition, to the VPS's datacenter location- anybody attempting to track this particular users activity would end up at one dead end after the other, in theory. Several companies such as http://blackboxrdp.com have taken hold to this recent rise in demand, having a high regard for the privacy of their users have began to make moves towards allowing this type of service become standard. Although in practice it seems simple, it does take a bit of configuration on an advanced level to make a pleasant and smooth user experience, so it's important to work with a professional and experienced network gurul before attempting a DIY on this project without a bit of knowledge on the subject. 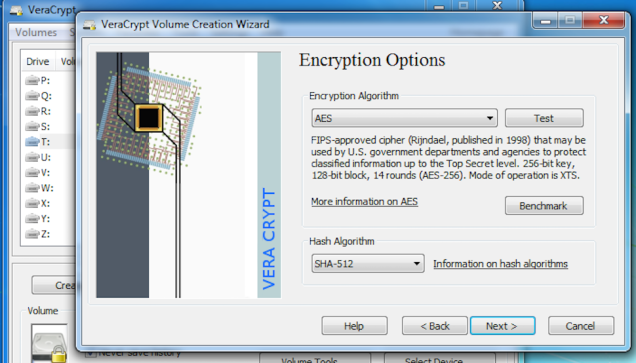 Is VeraCrypt the new TrueCrypt? TrueCrypt, in it's prime was one of the leading software encryption applications on the market. It offers countless encryption algorithms and features that granted full security, privacy and peace of mind to it's users for nearly a decade. Unfortunately, over the past few years, following several scandals involving privacy, surveillance, NSA spying etc have brought much distrust to the TrueCrypt brand, which had unknowingly been compromised. This incident put an abrupt end to it's long-standing reputation as the 'unbreakable encryption software.' After some bad publicity, patching, penetration testing and re-branding TrueCrypt continues to live on in spirit through it's predecessor, VeraCrypt. 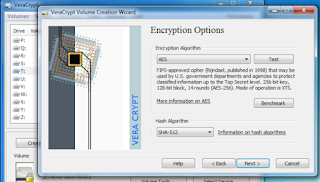 VeraCrypt offers the same familiar user interface and features that former TrueCrypt users have grown accustomed to, which was a nice touch. Additionally, it's been streamlined to include several new hashing algorithms and encryption techniques that's definitely won my vote of confidence. Being an internet entrepreneur, naturally I find myself juggling 10, 15, or even 20 different projects at any given time. Any professional business person will agree, organization and time management is the key to success; and if you ever want to grow you've GOT to get organized. My personal solution for this, is by using a Windows VPS (Virtual Private Server.) A Windows remote machines offer a certain level of isolation from your localized hardware enviroment. This allows you to keep all of your project files, aliases, communications, emails etc in one specific spot. Got multiple projects, business ventures, aliases, etc? Simply launch another Windows VPS! Do you run SEO programs, or marketing tools on your home computer? Do you download large files, or run intensive processes that consumes your local bandwidth and computer resources? Save your local hardware and run it on a Remote Windows VPS! There's alot of providers out there, and if you're looking for an affordable windows vps for seo, or any other purpose..
My review of blackbox rdp: 9/10. www.blackboxrdp.com I'd definitly reccomend their service. The quality of their servers are superior to their competition, and their staff is helpful and always available for support. I've always tended to avoid 'managed' hosting services because, well -I'm a network admin, I can do everything myself!! -- So why on earth would I pay for something I don't need?? Well, today I found myself in need of a quick, sandbox environment to host a few wordpress sites for a client. I was in a hurry, so I ordered a Hostgator shared hosting plan to save myself time. The order process was smooth, and I was setup and delivered within an hour, and the entire process was seamless as can be. Not only was their support and self-serve system a pleasant experience, but I'm also quite impressed at the performance quality of their hardware. My scripts were installed in a matter of seconds, and the features included with my cPanel installation were extremely useful. All-in-all I'd give the service an 8/10. Their customer experience is bar none and it's obvious that they've taken a strong interest in their customer experience program. Being an advocate of the industry, and an authority figure in the IT sphere, I'd like to give a hat's off to Hostgator for setting the bar high. 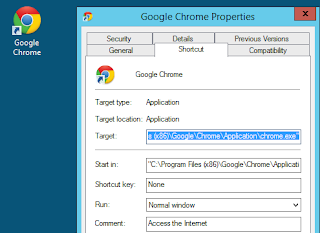 If you're like me, the typical tin-foil hat IT nerd next door- I'm willing to bet that you also enjoy your private browser sessions via Google's very own Chrome browser. Yes! 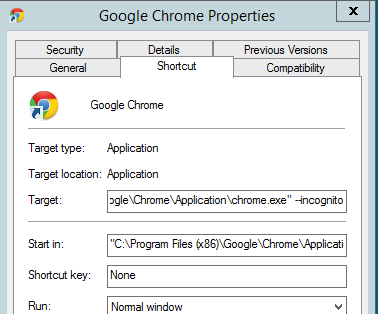 Google Chrome Incognito offers the additional peace of mind knowing that your browser history, cookies, etc are not stored or tracked. I use Incognito 95% of the time, simply because I don't like being cookied to death by amazon and ebay, so naturally I like to have Incognito mode open up by default. This is quite simple to do actually, and could save your HOURS of time collectively by taking a moment to learn how! 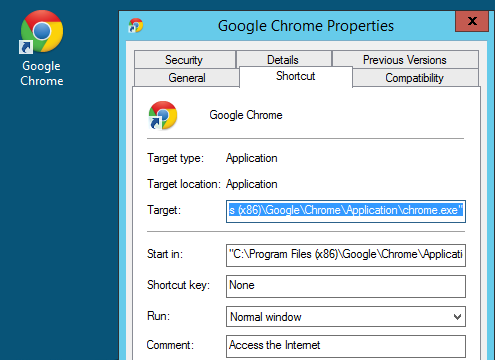 Step 1: Right click your Google Chrome Shortcut on your desktop > Then select Properties. Step 2: In the Target field append "--incognito" (remove "") to the end. Click Apply. That's all there is to it! Your new shortcut will default to Google Incognito mode everytime you launch it. You can also create copies of the shortcut, and save one as 'Incognito" and one as regular Google Chrome if you prefer to have the option. My name is Mark and I'm a network administrator and budding Internet Entrepreneur. I'm part owner of blackboxrdp.com, which is a windows vps and dedicated server host. We cater mostly to clientele who use our servers for SEO (search engine optimization) purposes. I've decided to start this networking blog so that i can share some of the tips, tricks and resources that I've have at my disposal. Thank you for stopping by. If you have anything specific that you'd like me to cover in future posts, please feel free to email me and I'll get back with you as soon as possible.